Happy Mother's Day and A Birth Story! Happy mother’s day mamas! And it’s an extra special day for me because it’s also my birthday! This makes a great day for sharing a birth story, don’t you think? My third little bunch of sweetness was born almost three months ago now. Her birth story is a bit different from the other two’s (which I haven’t actually shared on this blog, but will definitely have to do soon). For starters, she was born during a snowstorm. My other two were born in the summer, which I much prefer! And she was also my first that was not completely natural. To give you a little background info: my previous two labors and deliveries were AWESOME. All natural, no medication, 12 hours start to finish, just a few pushes, and bam. Baby. My second was almost born on the way to the hospital even! It was wonderful to be able to labor at home and have no intervention once I got to the hospital. I expected this time around to be the same but that was not the case, unfortunately. This labor was different from the very beginning. First, my water broke before any contractions began, which I hadn’t experienced before. I felt a big pop and had no idea what it was, until a few minutes later amniotic fluid was all over the floor. About 30 minutes later I had a contraction and I was thrilled! The contractions were getting stronger and closer together too. But after a few hours of contractions that were 5 minutes apart, they became less frequent and less intense. This was heartbreaking. My midwife recommended I try walking a lot to bring on contractions. After hours of walking, climbing stairs, and even doing squats, that didn’t work. In fact, the only time I would ever get a contraction was when I was lying down, although they were still irregular. I decided to check in to the hospital and have my midwife check my cervix. I had only dilated 3 cm after 16 hours. This was heartbreaking too. I was used to coming to the hospital and being 8-10 cm. 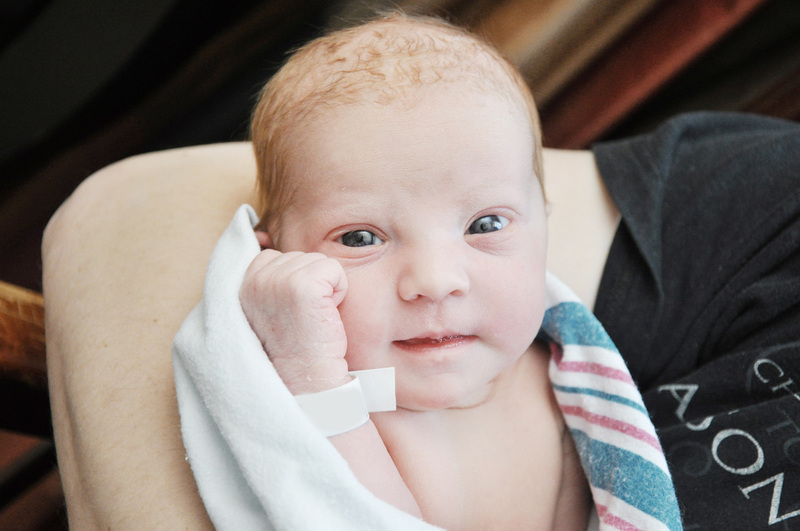 After I had been in labor for about 18 hours (I don’t know that I would call it labor though, since my contractions were so few and so mild), the hospital staff told me that at 24 hours post water braking, they would need to administer antibiotics. I was not about to let that happen. This baby would have to come out NOW. I had spent my entire pregnancy making sure I was taking probiotics every day so that the birth canal would be full of beneficial bacteria for my baby. I was not about to just wipe them out with antibiotics right before my baby was to be born. So I decided to get started on Pitocin, hoping it would help get this baby out before 24 hours came around. Of course, this was devastating to me, and I cried. I mean, Pitocin is a crunchy mama’s worst enemy, right? Not only did I not want drugs in my or my baby’s body, but I was also afraid that the Pitocin would make the contractions so bad that I would be begging for an epidural. Surprisingly, that wasn’t the case. My midwife told me that my body was already doing a lot of the work, so I would probably only need the smallest dosage of Pitocin to help my body finish the work. She was right. After about two hours on 2 units (an extremely small dose) I was at 6 cm. Then I told her she could turn the Pitocin up to 4 units. After just a few minutes on 4 units of Pitocin I was at 10 cm and ready to push. I went from 6 cm to 10 in just a few minutes! And just a few pushes later I was able to look at my beautiful baby's big bright eyes. All in all, it wasn’t that bad. Sure, I would have preferred to go the completely natural route again, but it was nice only having regular contractions for just a couple of hours. And while the contractions on Pitocin were intense, they weren't much more intense than what I had experienced toward the end of my labors without Pitocin. I never felt the need to ask for an epidural either. So, to all you crunchy mamas out there, I’d like to say that if you’re ever in the same situation as me, where your labor is just not progressing, please know that using Pitocin doesn’t have to mean it’s the end of the world. And if you can’t do anything about it, you can’t do anything about it, right? So just try to relax. 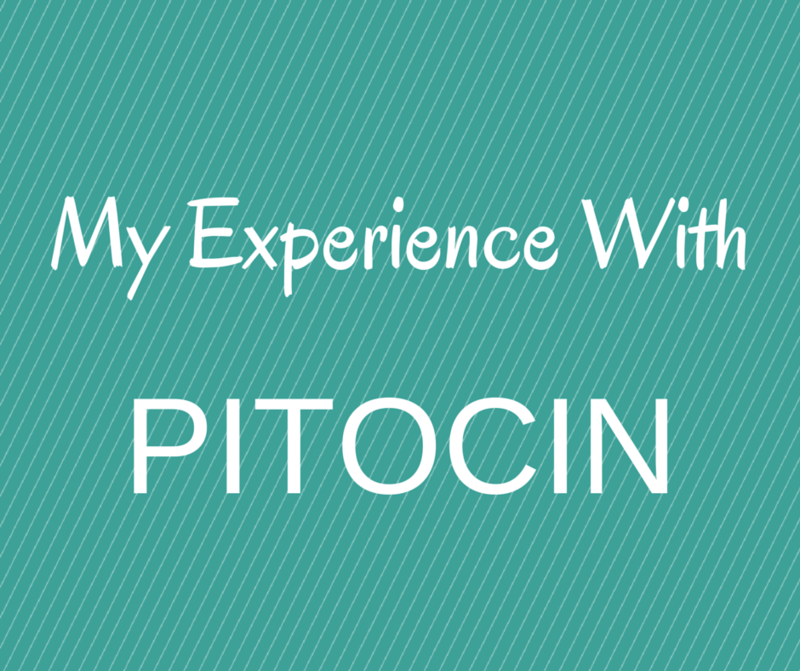 Once I decided that I was going to try Pitocin, I prayed and accepted that whatever the outcome was, everything would be okay, even if that meant I would have an epidural or a c-section. It would be fine. I’m also thankful to God for my experience because every new experience teaches me something I didn't know before and makes me a more understanding and compassionate person. Well mamas, what about you? Did your labor and delivery go as planned? I'd love to hear from you in the comments area below! Breast milk contains high amounts of secretory Immunoglobulin A (sIgA), which is an antibody that coats the intestinal walls in order to prevent pathogens from penetrating the wall and being absorbed into the bloodstream. Newborns do not produce their own sIgA for several weeks or months, which means that without breast milk they may have a more difficult time combating ingested pathogens, such as bacteria, viruses, food proteins, fungus, and parasites. If you are unable to breastfeed, you may want to consider giving your baby a high quality probiotic designed for infants, specifically one that contains the strain L. Casei, which increases the amount of intestinal cells secreting IgA (source). Breast milk contains about one million white blood cells per drop! Colostrum (the milk mothers produce the first few days after giving birth) is especially loaded with white blood cells. Just imagine how many of these pathogen-destroying cells breastfeeding babies receive each day! Some moms even use colostrum as antibacterial eye drops when their babies develop an eye infection. Breast milk has pain-relieving properties (source). This is why babies breastfeed more when they are teething. Many moms choose to breastfeed before, during, or immediately after their baby receives shots to relieve some of the baby's pain. 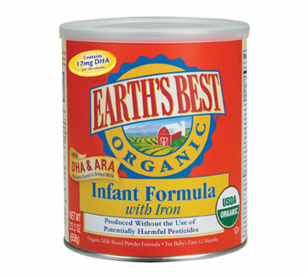 Breast milk contains the perfect carbohydrates for babies. It is especially high in the carbohydrate lactose, which aids in the absorption of calcium and phosphorous, supports the growth of good bacteria in the intestines, and is especially important for healthy brain and nervous system development. Breast milk also contains the enzyme lactase which is needed to break down lactose. Cow's milk formulas contain lactose, but not the lactase enzyme. In fact, formula companies add extra lactose because cow's milk does not provide as much as human milk. 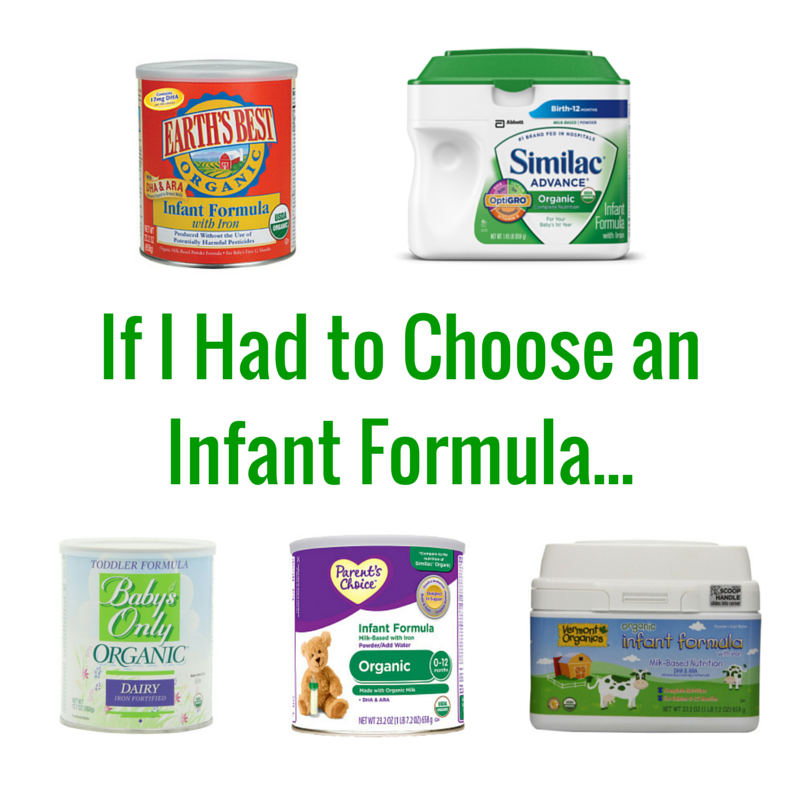 But without the lactase enzyme many babies experience difficulty digesting these infant formulas. As a result, many babies today are on lactose-free formulas that are instead sweetened with much less healthy sugars like corn syrup or rice syrup. Researchers have found that children who were breastfed typically have less behavioral problems (source) and higher IQ scores (source) than those who were fed formula, even when accounting for socioeconomic status and maternal education. It could be because of the lactose. Or maybe it's the abundance of DHA and cholesterol, which manufacture myelin, a fatty sheath that insulates nerve fibers to help them send messages from one part of the brain to another. Taurine, an amino acid, is another component of breast milk that helps with neurological development. Some formula companies are now adding both DHA and taurine to their formulas. There are so many ingredients in breast milk that it would be silly to assume that just one is responsible for better brain development. It's certainly a combination of all the good stuff. It's amazing how perfect breast milk is for babies. And milk is just one facet of the human body, which is just one facet of all of God's creation. That's what's really cool. 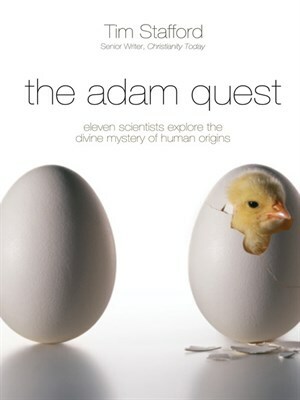 Tim Stafford, senior editor for Christianity Today, has written a truly thought-provoking book Titled The Adam Quest, in which he interviews eleven scientists who have clung to their Christian faith while tackling scientific issues that often divide the Church. These creation scientists adhere to either the young-earth, old-earth, or evolutionary school of creation science. Young-earth creationists typically believe that God created the universe and all its contents in six 24-hour days. They claim this occurred roughly 6,000-10,000 years ago, as written in the first chapter of the book of Genesis in the Old Testament. They assert that most of the fossil distribution is the result of Noah’s flood and that we are all descendants of Adam and Eve. Old-earth creationists, on the other hand, interpret Genesis 1 differently, understanding the word “day” to mean “era”. Regarding the age of the earth, their views are generally more compatible with mainstream scientists, yet old-earth creationists deny that humans evolved from other life forms. Evolutionary creationists believe that God created all of the universe and life within, and that evolution is a tool He used to carry out that process. I admire Stafford’s ability to remain unbiased in his retelling of each scientist’s story. I read through all of the biographies without having the slightest inkling of Stafford’s position, which he offers at the end. I also appreciated the diversity of scientific disciplines the scientists represented, including geology, genetics, paleontology, biochemistry, and physics. If you want to gain a thorough understanding of the debates involving Christianity and science, this book will not satisfy. Stafford was obviously not attempting to write a scientific textbook, nor a book about how to refute certain scientific claims. Instead, he provides us with mini-biographies of the scientists’ faith journeys, scientific journeys, and how they integrate the two. To fully comprehend their underlying worldviews, however, one must do some more digging. I recommend taking a break after reading each scientist’s biography and googling his or her name to get a better understanding of who each one is, what he or she teaches, and his or her approach to scriptural interpretation. Better yet-read their books. My main takeaway from this book is that I now have a long list of others I plan to read, such as Darwin’s Black Box by Michael Behe; Faith, Form, and Time by Kurt Wise; The Cell’s Design by Fazale Rana; and The Crucible of Creation by Conway Morris. I also have many new names and organizations to research, and debates to watch. I hope that this book will generate some discussion among Christians regarding the origins of the universe and our world. These are often avoided topics in the Church. What really compelled me to read this book is that I am a truth seeker. This is also what led me to pursue a minor in religious studies many years ago at a major public university. I wanted to make sure that I was not simply choosing Christianity because it’s what I’m familiar with. Likewise, I want to ensure that I am not simply a young-earth creationist because it’s what I’m familiar with. I now realize that there are Christians with different interpretations of the Genesis account, which deserve some recognition. I’ve been doing a lot of research over the past month and I see strong and weak arguments among both old and young earth camps. I’m also seeing how evolutionary creationism is not as heretical as I had once thought, although I don’t agree with it. After all, salvation does not rest on how you interpret Genesis 1. Most of all, what I am recognizing more and more is the complexity of God. We cannot know how or when God created everything, nor why he created. But I think it’s fun to try to figure out God’s mysteries. It’s like searching for hidden treasure. I have always thought that God made the Bible somewhat mysterious for a reason. Maybe He wants us to have discussions about Him, rather than the latest reality show, since Philippians 4:8 tells us “Finally, brothers and sisters, whatever is true, whatever is noble, whatever is right, whatever is pure, whatever is lovely, whatever is admirable; if anything is excellent or praiseworthy, think about such things.” Of course, you could drive yourself crazy trying to make complete sense of topics like God, time, the universe, and everything in it, so I don’t recommend neglecting your daily responsibilities in attempt to figure it all out. But it’s important to ponder these questions, since 1 Peter 3:15 tells us, “but in your hearts honor Christ the Lord as holy, always being prepared to make a defense to anyone who asks you for a reason for the hope that is in you; yet do it with gentleness and respect.” And personally, I want to make sure I understand all points of view (including atheistic evolution) so that I can present them to my children when they’re older and encourage them to further investigate these topics for themselves. If you’re a parent I recommend doing the same. I have compiled a short list of websites below that may be helpful to you. When researching these different points of view you may come across ideas that seem lacking or websites that seem insufficient in comparison to mainstream evolutionist ones. Keep in mind that creation science is in its infancy. Very few people are entering the field of creation science and it does not have the funding for research or laboratories. Therefore, most creation science research is statistical and theoretical. Because there are so few creationist brains working together, they still do not have one unanimous paradigm, as evolutionists do. Every day evolutionists are working together to expand on their paradigm, but creationists are still trying to form theirs. So, read the book, check out the links, and I'd love to hear what your thoughts are! Disclosure of Material Connection: I received this book free from the publisher through the BookLook Bloggers <http://booklookbloggers.com> book review bloggers program. I was not required to write a positive review. The opinions I have expressed are my own.